Luke Wainwright doesn’t remember leaving, can’t recall where he’s been for the past several weeks, and hasn’t a clue how he came to be so far from home. The only thing he knows is that he woke up one morning desperate to get back to his wife. But Rachel’s reception breaks his heart. She has questions he can’t answer, and even though he vows never to leave again, she refuses to let him in. Time all but stops for Rachel Wainwright when she loses the love of her life. She still goes to work every day, but she isn’t really living, doesn’t remember how to exist without Luke. Just as she picks herself up and starts to recover, he returns. Her mind can’t quite believe he’s back for good like he claims… even if her heart wants to trust that they’ve been given a second chance. Just when things are looking up for Luke and Rachel, a mysterious stranger threatens to destroy their fresh start. Rachel lost Luke once, and it was nearly her undoing. That was something she never wanted to go through again. But as each secret is revealed, as the story begins to unfold completely, the choice might not be hers to make. If you ask bestselling author Kim Bowman's husband, he'd say she spends her days emailing her cyber best friend and writing partner, Kay Springsteen, drinking soda, and eating white chocolate. While that might be true, she also chases their five-year-old son Cage around, thinks about the housework she should be doing, and brainstorms her next favorite book. She's had the writing bug since she was a teenager and is happy to now live her dream of being a full-time author. You can find Kim on Facebook, Twitter, and her Blog. The first time I saw you, I thought to myself, She’s going to be the mother of my children. From that moment on, other women ceased to exist. I didn’t need to look anymore. I’d found my better half. Exhaustion had taken its toll on Rachel Wainwright. Exhaustion and never-ending grief. That had to be what it was. Why else would she have abandoned her shift at The Bee’s Knee, jumped into her blue sedan, and rushed to Bee Cave Memorial behind the ambulance? Had they brought the tall, dark stranger into the hospital yet? The obnoxious blare of the loud speaker startled Rachel, jerked her back to the present. She approached the admitting desk on shaky legs. “Um, hi. The man from The Bee’s Knee…” Why was it so hard to speak? Why had her throat tightened? Rachel felt as if she’d been punched in the gut. It was all she could do to keep the contents of her stomach down. So she hadn’t imagined it. The stranger had called her Ragdoll right before he collapsed at her feet. No one would call her that — would even know to call her that, except her husband. And he’d been dead for over a month. I absolutely adored Phatom Heart. The love between Rachel and Lucas was tangible. It's the kind of love every girl dreams of. 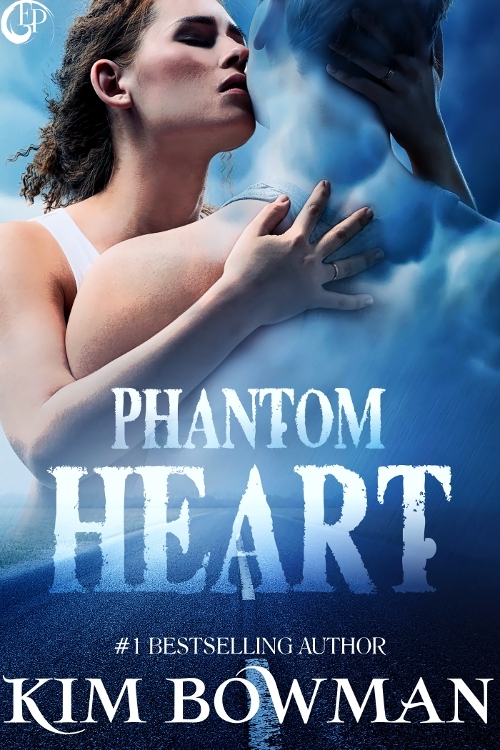 The concept of "phantom heart" and cellular memory is fascinating - even moreso as it is a real phenomenon. I can't even imagine going through what Rachel did with Lucas and Mack - what a roller coaster of emotions! I'm so glad that Mack's part of the story was played out and that it was realistic. There's no way that Lara and Mack would have been able to just pick up where they had left off after what Mack went through. I felt for Mack, but understood Lara's struggles. Despite the fact that it's clear Lara is to Mack what Lucas was to Rachel, I didn't find Lara very likeable. Maybe that's because I was so immersed in Rachel's story and struggle, but I couldn't relate to the way she responded - to Mack, to the whole situation, and especially to L.G. 's gift. In my opinion, she came off as very shallow. It would have been nice to see Lara the way that Mack did - but things had changed by the time we meet Lara. Overall this was a wonderful read - L.G. and Beth Ann were great supporting characters. Beth Ann was so sweet and L.G. tried in his own way - he definitely had good intentions. Zelda was a delight - such a fun character! I think Lucas was too good to be true, but I think it's the way it was supposed to be.